Safe to say the “Imagineers” of the Walt Disney Company know innovation when they see it. 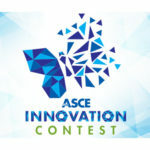 Now, thanks to the ASCE Innovation Contest, they might consider your great idea. The Innovation Contest is gathering proposals large and small with the potential to transform infrastructure. Walt Disney Imagineering is one of four companies signed on to provide special opportunities for selected winners in the four contest categories – innovative business models, Internet of Things, green engineering, and resilience. Disney’s Imagineers will sponsor winners in Internet of Things. Those interested in submitting their ideas will need to act fast, as the entry deadline is Jan. 18. “I’m excited about the level of good work the Innovation Contest has reached in such a short period of time,” said Terry Neimeyer, CEO of KCI Technologies Inc., chairman of the Institute for Sustainable Infrastructure, and vice chair of the ASCE Industry Leaders Council. KCI is sponsoring the green-engineering category, with plans to fly the winners to Washington, DC, to present their ideas to industry leaders. The Walt Disney Imagineering event will be held at their Glendale, CA, or Orlando, FL, facilities and will include tours and contestant presentations. Hatch Mott MacDonald, the New Jersey-based consulting engineering firm, has signed on to sponsor the resilience category, and will host its winners at the New Jersey Institute of Technology. The engineering firm Pennoni, based in Philadelphia, will bring in winners of the innovative business models category for a tour of Rutgers University’s new Bridge Evaluation and Accelerated Structural Testing Lab, or BEAST, which simulates in less than a month the wear and tear a bridge endures over a decade. All winners, regardless of category, get an opportunity for their idea to take off with the help of industry leaders and other decision makers, as well as potential employers, who are placing a greater importance on innovative thinking when considering new hires. Jerry Buckwalter, chair of the ASCE Innovation Contest Forum Task Committee, has overseen similar contests to help surface innovations at Northrop Grumman. He knows that drives such as the Innovation Contest benefit the creative thinker, the employer, and the engineering profession as a whole. “It’s all about renewing yourself for the future,” Buckwalter said.